Giving fans something to look forward to now that “Gotham” has wrapped up its first season, DC Entertainment and Fox have officially released the first trailer to their upcoming TV Series adaptation of the DC Vertigo imprint “Lucifer” – which follows the explouts of , the devil incarnate who has quit ruling Hell out of sheer boredom and instead retires to Los Angeles. Watch the three minute trailer below, which gives a tease of what to expect for next year. Played by “Merlin” series actor Tom Ellis, Lucifer is now the owner of “”, a nightclub that allows him to indulge in all things like drinks and women. However when a murder is committed outside of his establishment, the former ruler of Hell soon finds himself drawn to solve the mystery… And is surrounded by different elements that may see him possibly redeeming his soul instead. 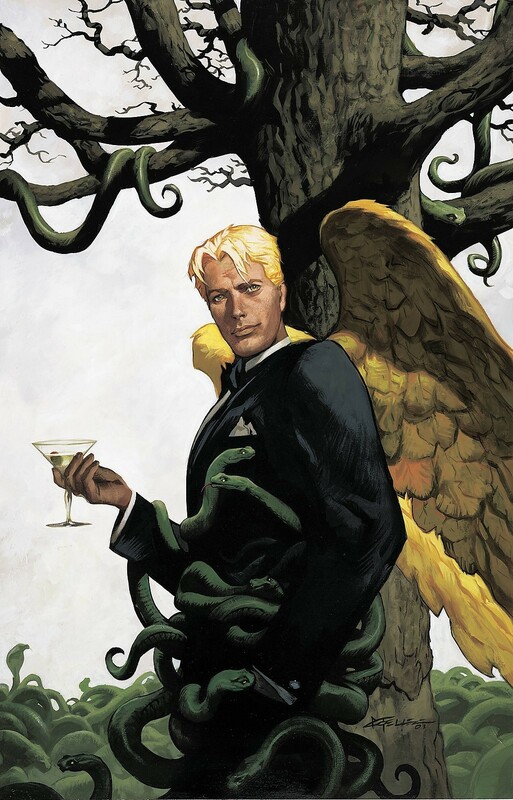 Lucifer will begin airing on Fox starting on 2016.